Dyson's newest addition to its mini vacuum range, the Dyson DC49, has been revealed this morning as the company's smallest, lightest and quietest machine yet. The DC49 is 30 per cent smaller than its predecessor, the DC47, and weighs a mere 2.7kg. Designed for use in small Japanese homes, the footprint of the DC49 is only slightly bigger than a sheet of A4 paper. But even with the smaller body, Dyson has stepped up the power by installing the same V4 digital motor used in the Airblade hand dryers. “Investing in our core technologies means we can develop leaner, more efficient machines," said James Dyson, inventor and founder of Dyson. 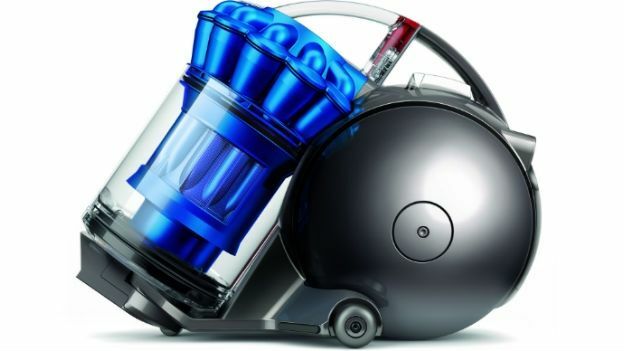 "Using the new high-speed Dyson digital motor, we have developed a machine that is smaller and quieter, yet even more powerful,“ he said. While the DC49 also uses the recognisable ball system for increased mobility, its smaller size does mean the dust bin capacity is limited to 0.5 litres. But, as with everything that comes out of the Dyson labs, everything has been engineered to be as efficient as possible. The turbinehead and motorhead floortools have been re-tooled to improve debris pickup and keep the noise down, while a dust capture channel prevents dirt from falling back down onto the floor. It uses carbon fibre filaments and nylon brushes to pick up more dirt whether you're using it on carpet or hard flooring. The bad news is that you can't expect it to come cheap. The DC49 is available to buy today and will set you back £349.99.